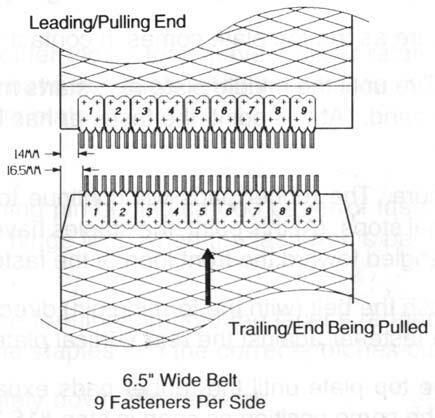 For proper positioning of fastener on belt, follow the example diagrams shown below. 1. Always take measurement from the same side of each belt end. 2. Mark a reference line where the fastener is to be installed on belt. 3. 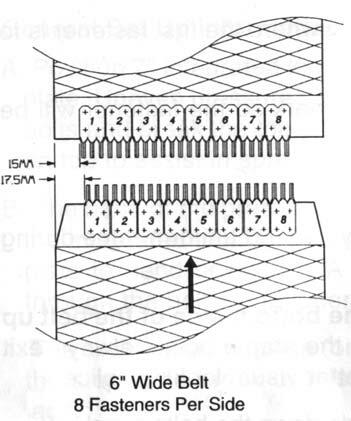 A 2½ millimeter off-set is necessary in allowing the belt to properly align to form a straight edge when the splice is joined. 4. 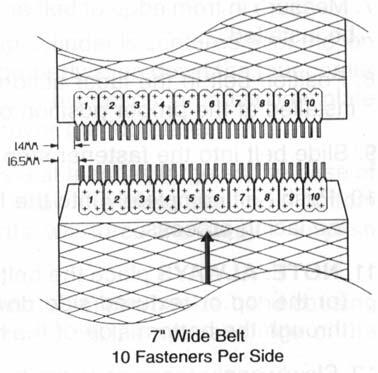 Install fasteners in belt. 5. After the fasteners are installed, determine the belts direction of travel. Notch the corners of belt on the trailing end (end being pulled).